Click here to complete a Training Request Form. 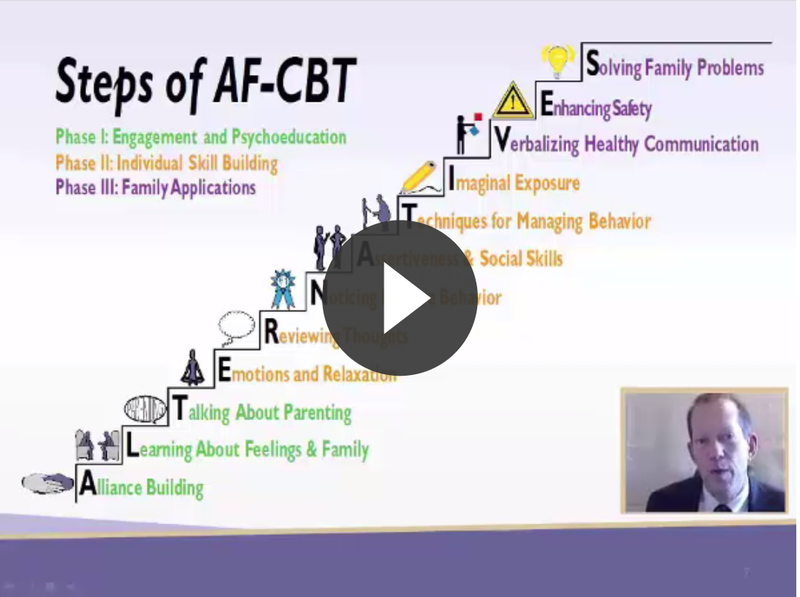 AF-CBT is provided by a number of trainers from institutions around the United States. While we provide CEUs for our local training sessions held in Pittsburgh, different trainers handle these things in their own ways. If you would like to find out whether CEUs are offered for the training session you are signing up for, it’s best to check with the trainer conducting the training session. We do, however, offer free CEUs for completing our Orientation Course offered by the NCTSN. There are four options for organizing or obtaining a training in AF-CBT: costs can be obtained by sending a question via the website. A national faculty member will conduct the training in your setting or community that is tailored to your program’s needs. We encourage having a cohort of at least 12 trainees (up to 15) from one or more agencies to enrich the learning experience. A trainer can also accommodate a larger group (price varies based on number of trainees, logistics, and other parameters discussed in advance). Interested administrators or managers may request a training by completing our training request form. Most of these trainings have been conducted in Pittsburgh or Los Angeles. Descriptions and dates are posted in our website calendar. 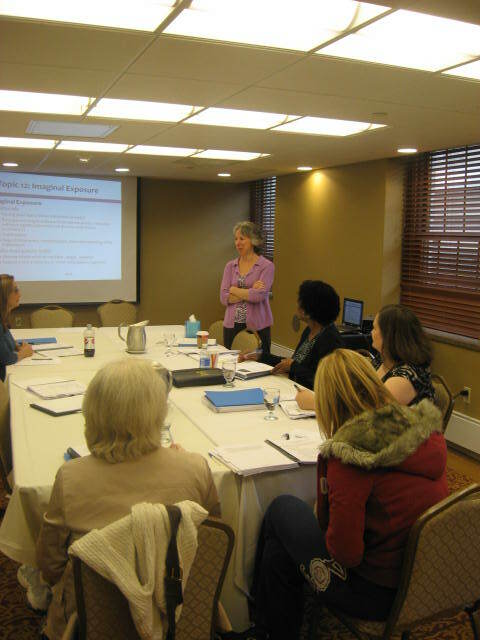 Agency staff who are certified as a AF-CBT clinician can apply to become an AF-CBT in-house trainer. This training program allows the trainer to conduct trainings in the agency for new staff with support from the national AF-CBT office. Please check here to find information about our in-house trainer program. Agency staff who are certified as an in-house trainer can conduct agency trainings in coordination with the national AF-CBT office. There is a small cost per training participant to cover the cost of all training and treatment materials, web and data infrastructure maintenance to facilitate ongoing website access to all materials/updates, and technology assistance (e.g., uploading audio). Please check here to find information about our in-house trainer program.